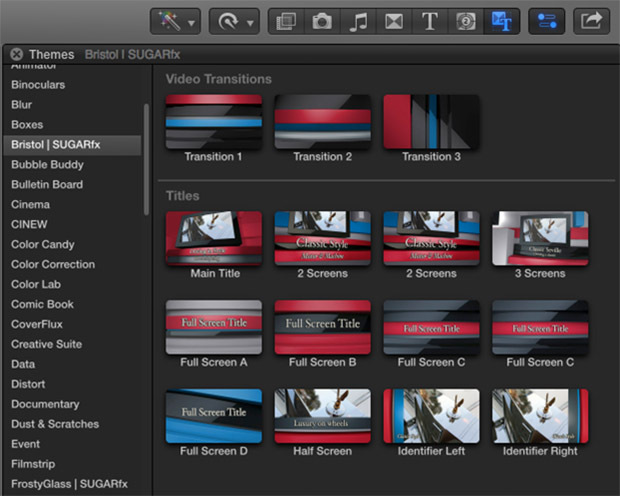 Bristol is an animated theme developed exclusively for Final Cut Pro X.
Classy, elegant, sophisticated and fun comes to mind when you use the Bristol theme. Bristol uses animated elements that move your content into its own 3D environment that can be customized to look the way that you want. 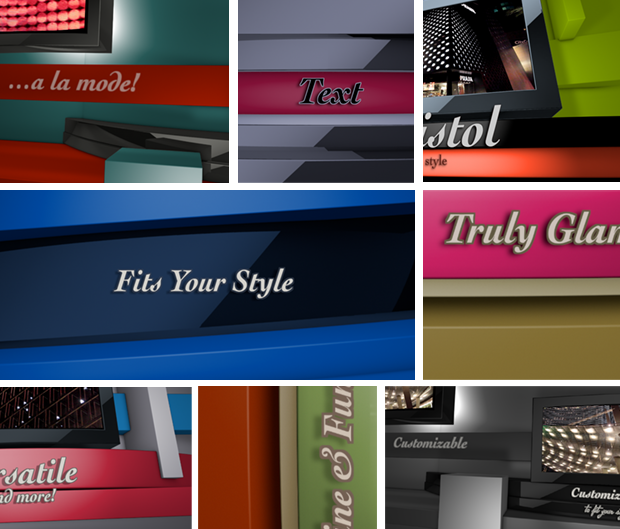 Bristol comes with 15 elements to choose from, such as Main Titles, multiple screen bumpers, Title generators and Transition elements. You can easily create a clean monochromatic look or go wild with any color combination that fits the mood of your project by simply updating the color palette included in every element. Using Bristol is as simple as doing a drag-and-drop of the element of your choice into the timeline. The Text is fully customizable and the built-in parameters can be used to create your own style with outline, face color, glow, etc. Some text elements can be rotated to be used properly with the layout selected. – Build in and Build out options for animated titles. – Full customization of text and font selection. – Several elements to choose from. 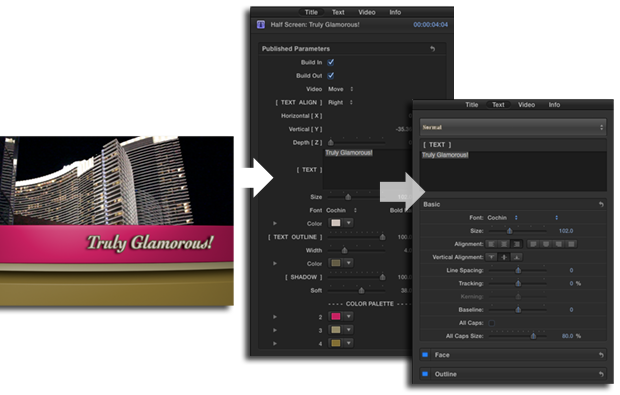 – Built-in layer separation for easy color adjustments on each element. – Broadcast quality pre-rendered elements in NTSC format.